Suffering and Spirituality: The Path to Illness Healing | 4th Floor Press, Inc. 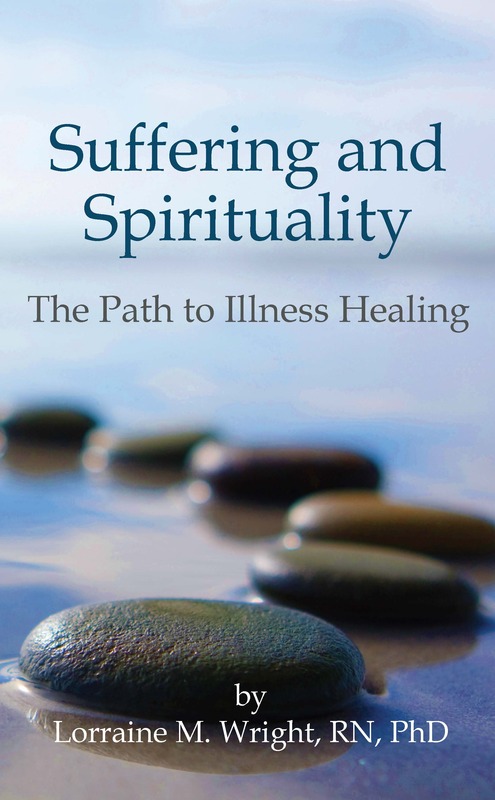 Suffering and Spirituality: The Path to Illness Healing – 4th Floor Press, Inc.
After twelve years, author Lorraine M. Wright, RN, PhD revisits her well-received book, Spirituality, Suffering, and Illness: Ideas for Healing (2005). With updated research, new illness narratives, this latest edition provides insights, guidance and advice for individuals/families experiencing illness suffering and for helping professionals seeking to soften their suffering. Spirituality and Suffering: The Path to Illness Healing also offers clinical practice ideas from a nonreligious approach of the crossroads of suffering, spirituality, and illness. A holistic model emphasizing suffering, spirituality, and illness beliefs, the Trinity Model, is also offered. Actual clinical examples are provided to show how to integrate, implement, and enhance health professionals spiritual care practices that soften suffering with patients and families experiencing serious illness, disability, or loss.